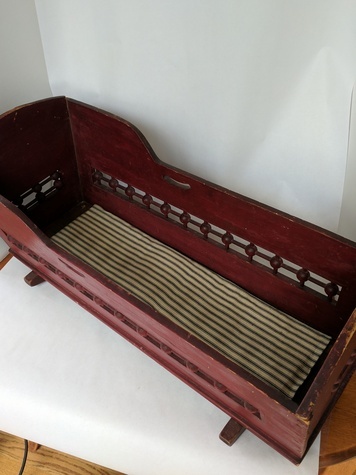 Vintage doll cradle. Measures 24" long. 10" wide. 12" high. It comes with a great looking period pad for dolly to sit or lay on. The weathered patina fits the cradle perfectly. The cradle is in good condition.